I have no idea what "Meeples" are but they sure as cute! 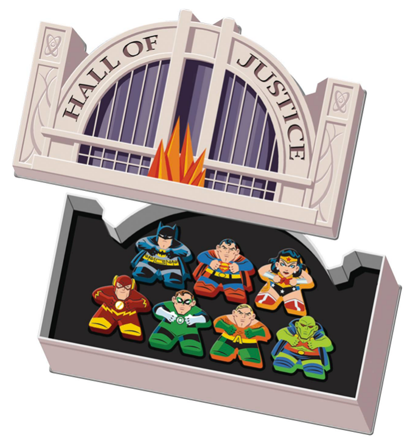 You can get all seven original JLAers plus the Hall of Justice, a building J'onn J'onzz is completely unfamiliar with! They're all getting ready to pump us up.